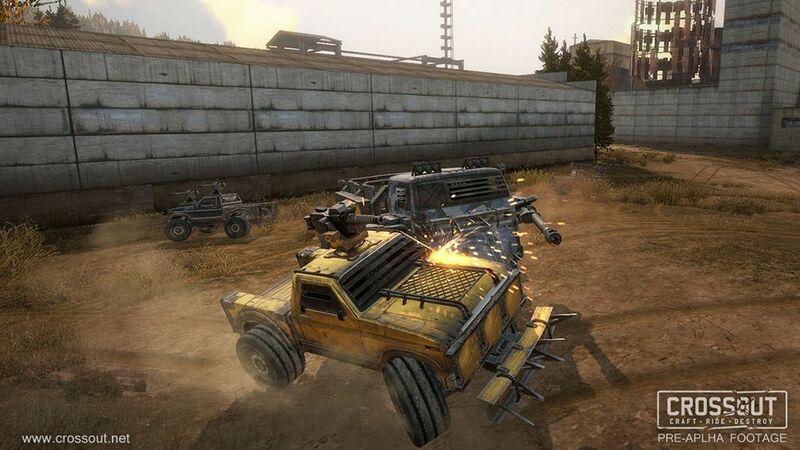 Crossout is a free-to-play vehicle combat MMO game developed by the makers of Star Conflict. 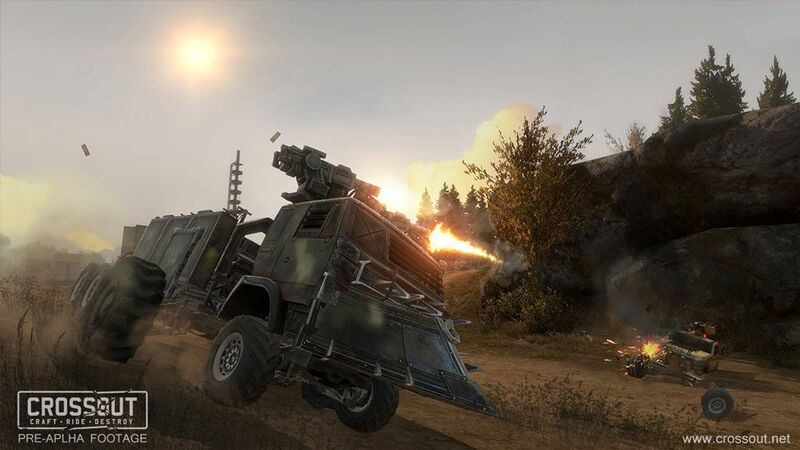 Set in a post-apocalyptic world devastated by an alien invasion and human genetic testing gone awry, Crossout will get players building, upgrading and customizing deadly armored vehicles in a setting that will remind players of both the movie Mad Max: Fury Road as well as of the classic car combat series Twisted Metal. 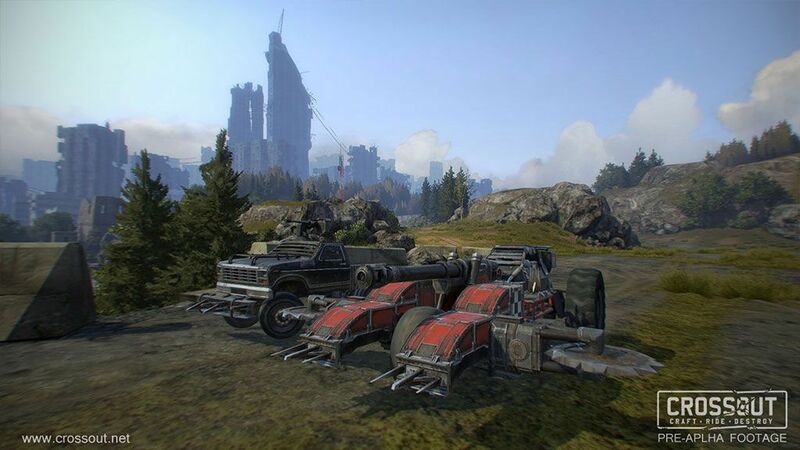 Crossout features two aspects that are complementary, working together to create a game with great depth and addictive gameplay – building and combat. 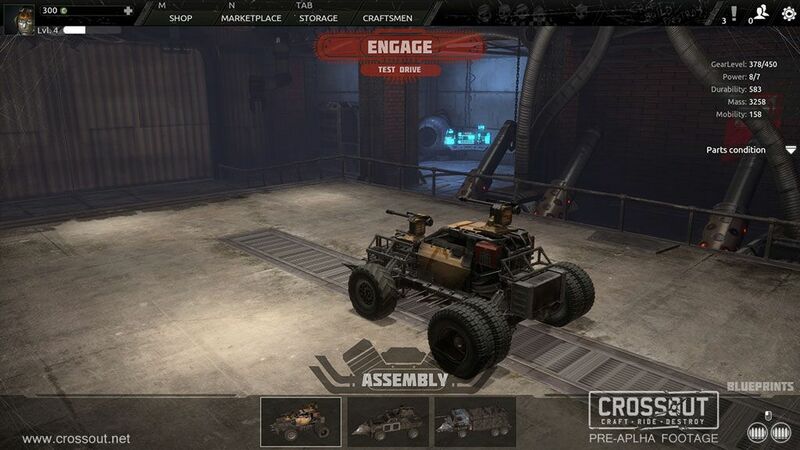 In a similar way to Robocraft but featuring a gritty, dirty look, Crossout offers several parts to choose from and create your vehicle taking into consideration opposing aspects such as speed or heavy armor, even going to cosmetic enhancements to give your car your own identity. Weapons come in big numbers, including chainsaws, power drills, machine guns, rocket launchers, flying drones and stealth generators, and there's also an in-game auction system for players to sell their advanced mechanisms. The advanced damage model ensures that every severe hit will affect the vehicle's performance. Crossout is a game that tries to do something different in the free-to-play genre and is definitely something for fans of the Twisted Metal series to keep an eye out for.